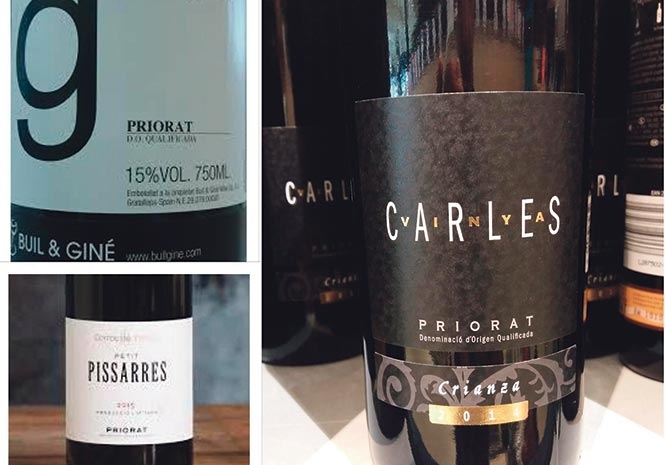 PRIORAT as one of the upcoming Spanish wine regions has recorded an extraordinary leap in quality and reputation over the last decade. This small area which qualifies as Denominació d’Origen Qualificada (DOQ) is in Tarragona Province in Cataluña and is one of only two – alongside Rioja – regions to qualify as DOCa, the highest qualification. It produces mainly red and powerful wines. Characterised by a terroir of volcanic origins with black slate and quartz soil known as llicorella with vineyards on terraces at 100m – 700m, the area has low yields due to the rocky soil that does not allow water accumulation. Wine production in the area dates from the 12th century, when monks from the Monastery of Scala Dei introduced viticulture and the prior ruled as a feudal lord, giving rise to the name Priorat. At the end of the 19th century, the phylloxera pest devastated the vineyards and replanting was undertaken only in the 1950’s. In the 1980’s bulk wine production was phased out and bottling of quality wine was introduced. The traditional grape variety in El Priorat is the red Garnacha tinta, which is found in all the older vineyards. Other red varieties are Garnacha Peluda, Cariñena, Cabernet Sauvignon, Merlot and Syrah. White varieties are Garnacha blanca, Macabeo, Pedro Ximénez and Chenin. The traditional reds are a single grape bottling of Grenache and Carignan, or a blend of these with French grape varieties including Cabernet Sauvignon, Merlot, or Syrah. Usually aged in oak barrels for 18 months followed by six months in the bottle, Priorat wines have a consumption optimal two years later.